It wasn’t long ago that the majority of the US workforce held traditional, ‘9-5’ jobs. We took a job in our early 20’s, and were expected to stay there for years – ideally until retirement. Today’s workforce is far more fragmented. While most people are still engaged in some form of traditional employment, other types of work arrangements are quickly gaining in popularity. For instance, would it surprise you to learn that just over a third of the US workforce did some form of freelance work over the past year? Taking on a freelance gig at night to supplement an income from full-time employment (“moonlighting”). Cobbling together employment through a variety of sources: For instance, taking on a part-time job as well as one or two clients and/or and temporary project-based work. Taking on a temporary contract or job. For instance, working full-time for one employer or client for a time-limited period. Freelance business owners: These are freelancers who have hired on employees or freelancers to help with their workload. This ability to earn an income through a variety of sources and arrangements has become a popular option over the past decade or so. But given that freelancing has been around in one form or another since the beginning of time, why has it become so prevalent in recent years? Let’s take a look. Why this explosion in freelancing? It’s clear that freelancing has become an integral part of the American work landscape. But what factors have led to this rise in freelancing? 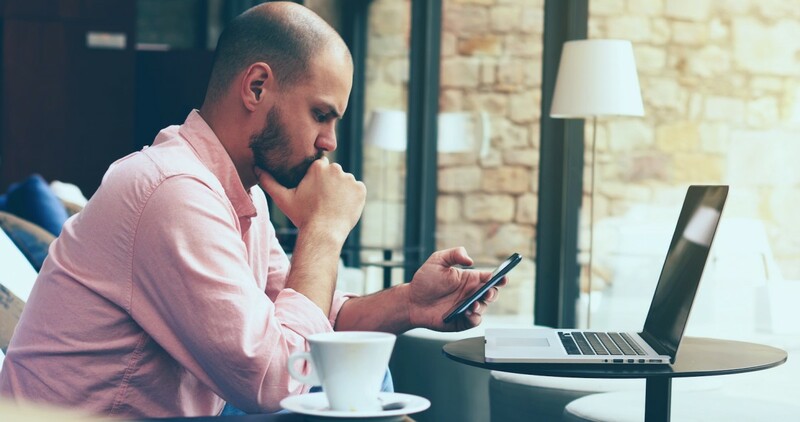 In a recent report put together by the Freelancers Union and Upwork entitled Freelancing in America: 2015, we can gain some important insights into the factors that have made freelancing so prevalent in recent years. 1. New technologies have made the job search faster and easier. Obviously, the internet has made the job search quicker, easier and more efficient. While job seekers in previous generations were limited to newspaper ads and dropping off physical resumes, the internet has made the process of identifying and applying for job opportunities far easier. In the survey mentioned above, 73 percent of respondents said the internet has made finding work easier. Just over half of participants said they have found a job online, and of these, 72 percent said it typically take less than a week to do so. Websites like Freelancer, Elance and Guru exist specifically to help freelancers find work, not to mention the countless niche job boards that exist. Rather than having to physically deliver resumes and make cold calls on the phone, resumes are now submitted and even completed online. 2. Freelancers tend to earn more than employees. 3. People have an increased commitment to work-life balance. Expectations and schedules have changed. Parents want to be available to attend daytime school functions, and workers don’t want to spend three hours commuting when they could be doing something else. People expect to find some degree of meaning in their work, instead of just putting in their hours. Freelancing provides the flexibility and freedom to meet these needs and expectations. 4. 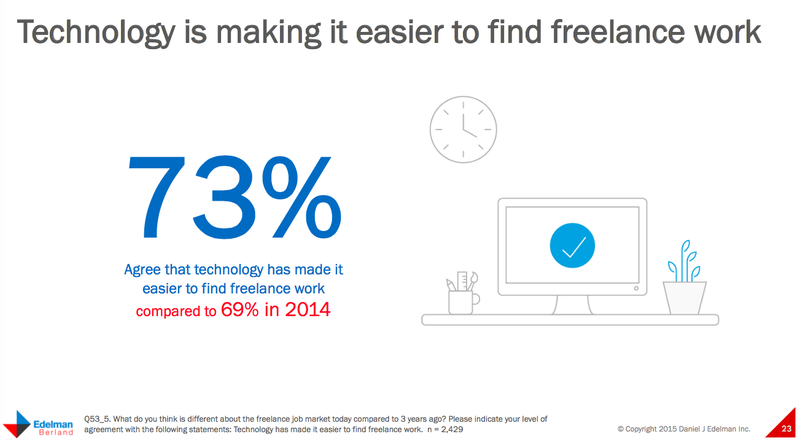 Despite the challenges, freelancers love freelancing. While there are many benefits to freelancing, it’s not without challenges. Feelings of isolation, having to pay for healthcare out of pocket and a potentially unpredictable income are just a few of the most common concerns. But despite these challenges, most freelancers would still prefer to freelance than go back to a traditional work arrangement. In fact, more than three out of four freelancers would recommend freelancing to friends and family. And millennials are even more likely to recommend freelancing: 84 percent say they would recommend it. 5. Freelancing means living and traveling wherever you want. Unlike a traditional job that requires employees to work in a specific location, freelancers often have the flexibility to live and travel anywhere with an internet connection. In fact, 33 percent of freelancers say they have been able to move to a new location due to the flexibility that freelancing provides them. This freedom to live and work from anywhere undoubtedly contributes to the reported satisfaction among freelancers. Rather than being bound to a particular job because of location, freelancers can choose the position they find most suitable and fulfilling. What does “Generation Freelancer” mean for decision makers? We’ve established that freelancing is a popular alternative to more traditional employment arrangements. But why should decision makers – namely business owners and politicians – care about this rise in the popularity of freelancing? With freelancers becoming such a significant part of the workforce, business owners can no longer afford to ignore this important demographic. However, it’s important that they know what to expect when replacing employees withfreelancers. Challenge: Increased pay. Employers need to keep in mind that in “Generation Freelancer,” the best person for the job may require a freelance arrangement and/or demand higher pay. Because skilled workers will have access to a broader pool of jobs – remember, they aren’t limited to a particular geographical location – they expect to earn an income commensurate with their skills and experience. Most require being paid online through mobile cash and in a much faster method than normal employees. Challenge: Loss of control. When switching from full-time employees to freelancers, employers may struggle with the fact that they lose a measure of control over specific tasks. Projects that were once managed in-house are now completed independently by freelancers. This can sometimes leave business owners feeling out of the loop and powerless. It is less easy for a business owner to apply pressure to a freelancer. Benefit: Lower overhead. While freelancer rates may be higher paid, there are significant savings in other areas. Office space, computers, supplies, employment taxes and benefits will all be covered by the freelancer. Benefit: Lower investment in training and support. Because business owners can seek out specialized, highly-skilled workers, they may need to invest less in training and support. Benefit: Lower risk in times of economic downturn. When utilizing freelancers, business owners don’t hold the same obligations as they do to employees. If business slows down, they can scale back on the workload they assign tofreelancers without fear of violating labor laws. According to the Freelancing in America report, freelancers are a particularly politically-savvy group. And, not only are they more interested in politics compared to employed workers, they are also far more likely to vote than the general population. 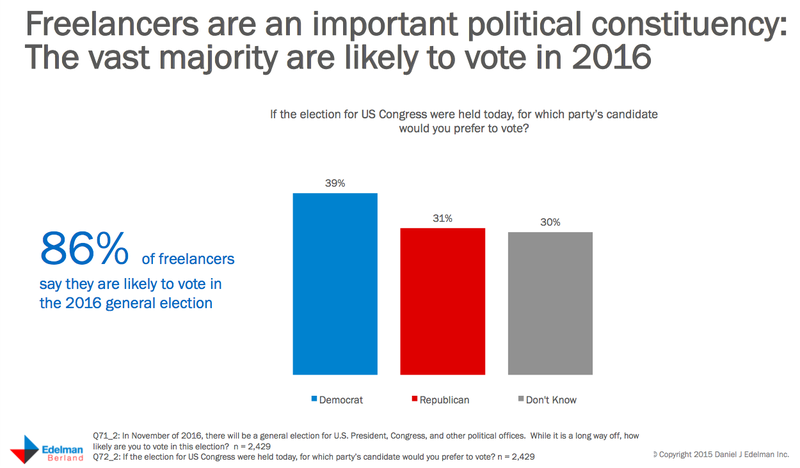 In fact, almost 9 out of every 10 freelancers say they’ll vote in the upcoming 2016 US general election. Freelancers are particularly interested in engaging in discussions around how to accommodate and empower freelancers; and they are far more likely to support a candidate whom they feel supports their own interests as a freelancer. Freelancing is changing the workforce in ways few could have predicted. Worker are free to pursue their passions and earn top dollar for their specialized skills. Meanwhile, businesses have unprecedented access to global pools of independent, highly-skilled candidates. We are also witnessing a shift in the economic and political landscape due to the rise of “Generation Freelancer” and elected officials would be well-advised to pay closer attention to this important demographic. 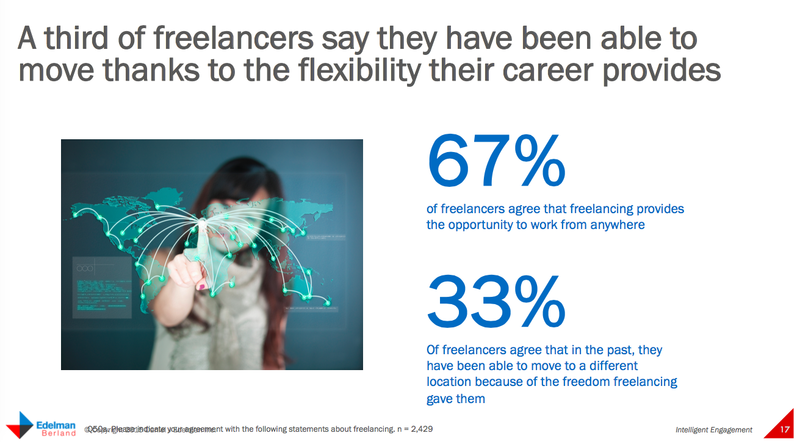 Interested in learning more about this shift toward freelancing? Or wondering how to become a freelancer yourself? Check out this Guide to Freelancing.